Log in at GoDaddy. You'll see a few options. 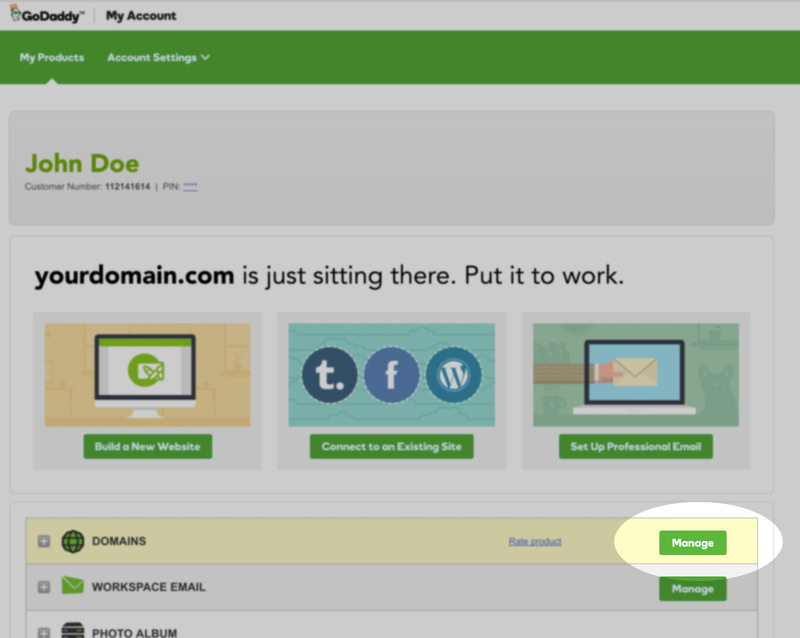 Click on Manage next to Domains. You'll see a list of the domains you own. Click on the dots behind the domain you want to point to Obior and click Manage DNS. You now get to a page where you see your DNS records and Nameservers.